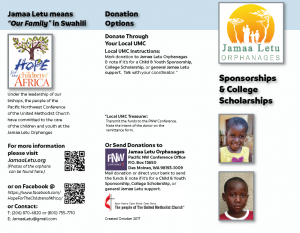 We Have a New Brochure! 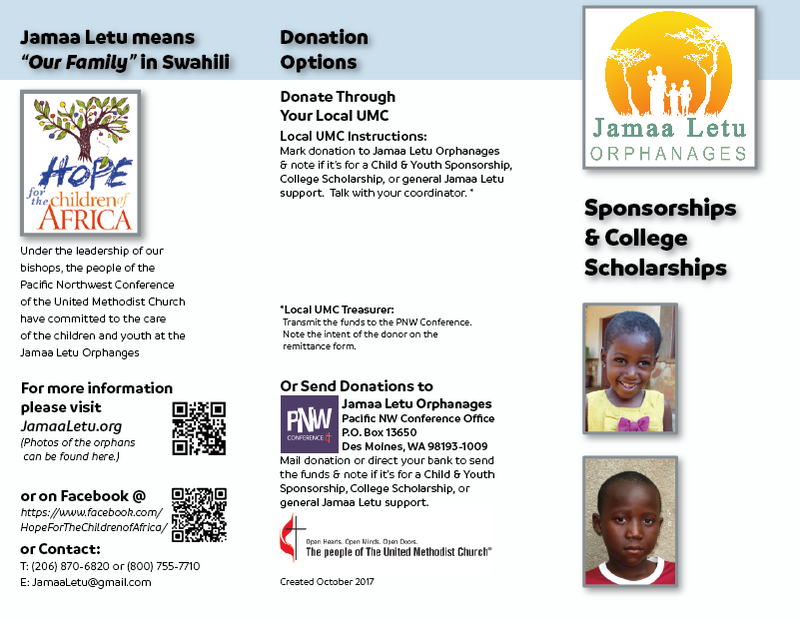 Please be sure to check out the new Jamaa Letu brochure. It’s designed to include a place for you to enter information specific to your own church’s mission and outreach structure. 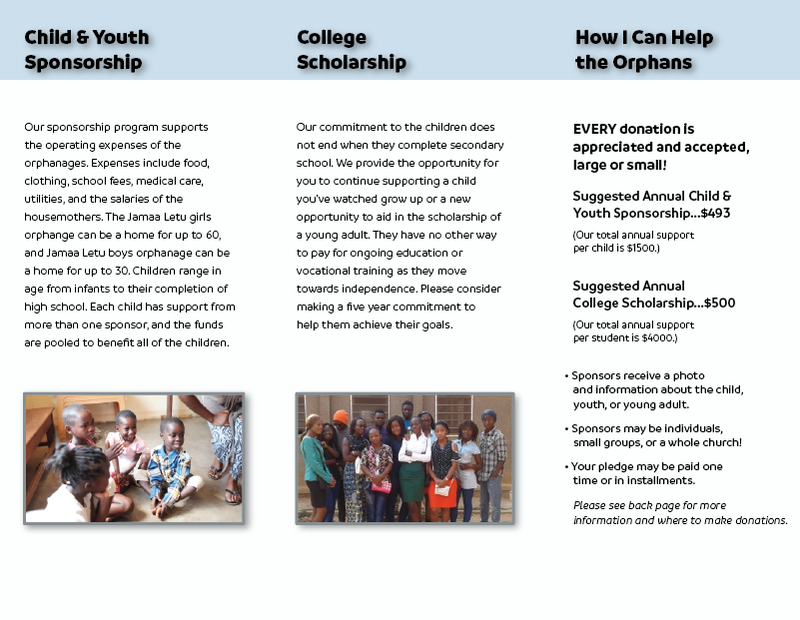 It’s been updated with clear information about how to support the orphans both while they are living at the orphanages through high school and after they graduate and are attending college or trade schools.